Unique hen party activities have really risen in popularity over the last couple of years, with a lot of hens choosing to step out of there comfort zone and try something completely different, fun and exciting for their hen party. If you like the sound of this, a Disco Dodgeball hen party activity would be perfect for you before you enter married life. Get your competitive side fired up with this fun twist on the classic game of dodgeball. All of your hen party group can get involved in this 1 hour session the instructor will tailor the activity to your fitness level, and change the activity if you prefer a challenge or just want to have some laughs with the girls. Don’t worry if you want a large group for your hen party, our venues can cater for everyone and they can still be involved in the fun. You might be wondering where the disco part of a Disco Dodgeball hen party comes in? Well the venue comes with all the equipment needed, including multi-coloured LED lighting and speakers to get everyone’s energy up and create a party atmosphere for this fun hen party idea! You will have the opportunity to play some hilarious games like Last Person Standing, Dance Off, Disco Bulldodge and The Slow Dance. If all this isn’t enough, all of our Disco Dodgeball hen party venues are in the city centre of your chosen location, making it so much easier for you and your hen group to carry on the hen day or weekend with restaurants, bars and nightclubs right next to your activity. 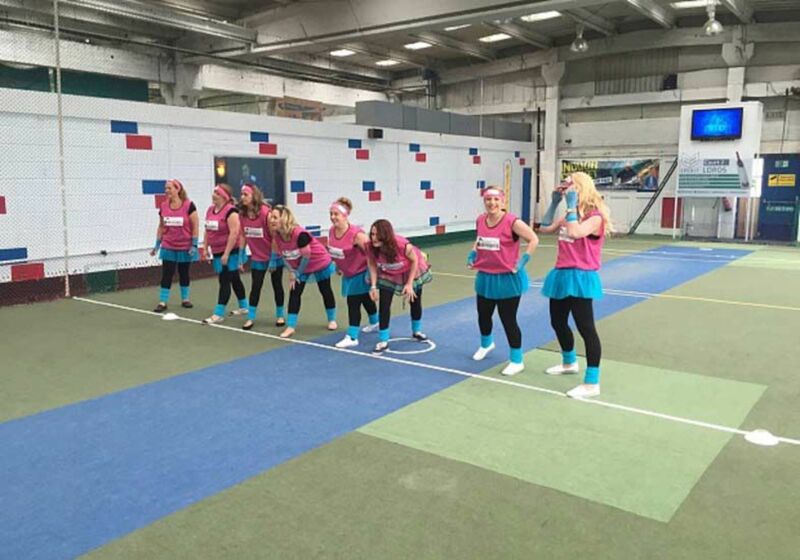 So if you feel like taking part in a hilarious and exciting hen party activity that is right on the doorstep of some great nightlife, look no further as a Disco Dodgeball hen party sounds right up your street. Want help organising the best hen party activity for you or a friend? Call us and let our events planners create a hen party to remember!